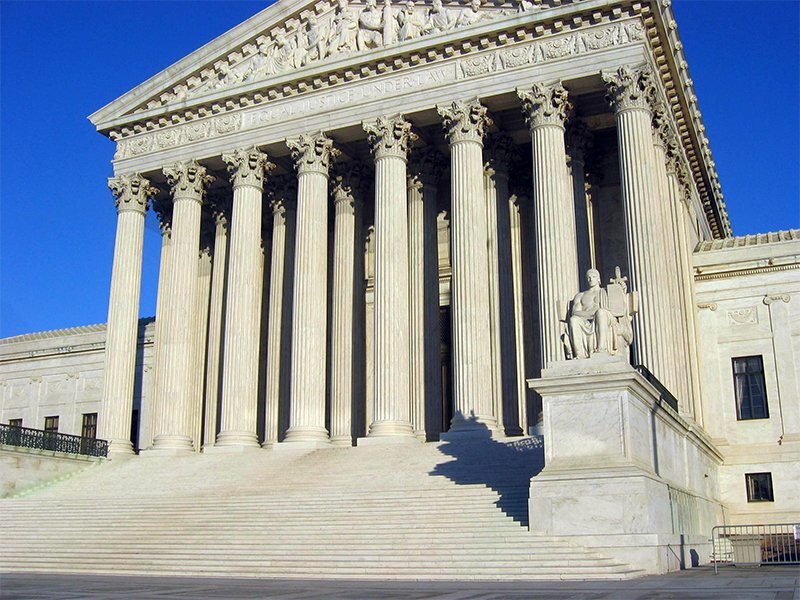 WASHINGTON (AP) — A North Carolina county will ask the Supreme Court to review a ruling barring it from opening its meetings with Christian prayers. The First Liberty Institute, representing the Rowan County Board of Commissioners, filed papers Thursday (Oct. 12) with the high court asking it to consider the case. In July, the 4th U.S. Circuit Court of Appeals in Richmond ruled 10-5 against the county. The judges said that while prayer itself is not unconstitutional, the commissioners’ practice of leading the prayers themselves and inviting the audience to join, always in the Christian faith, violated the First Amendment by establishing Christianity as a preferred religion. The Richmond court’s ruling is at odds with the 6th Circuit in Cincinnati, which found in September that such prayers are constitutional in a case out of Michigan. I cannot imagine the Supreme Court would allow this to stand. If it did, we would wind up with different religions established in different locales, which it seems, is why the Constitution would prohibit it. I see them punting on this one saying the appeals court decision stands. But you have two circuit Courts with decisions that are contradictory. The Supremes should settle the matter. Decisions like these are often based on the specific situations involved, so unless the Michigan case was exactly the same situation (city/county leaders praying themselves and inviting the audience to join in), it’s possible that the two rulings might be compatible. For example, if in Michigan, it was local clergy leading the prayer before the meeting starts, and asking the audience to join, there might have been just enough difference to say that that was not directly government endorsement of religion. You make a very good point. They both are very fact specific. The Michigan case involved prayers which on their face appear non-sectarian in nature, but used generalized terms such as “God”, “Lord”. Still probably unconstitutional IMO, but they made efforts to appear acceptable through less obvious use of language. If they are going to have useless prayers, then everyone gets to pray or no one does. That means Satanists and the Flying Spaghetti Monster too. Hope the County loses and it costs them millions. Does this ban apply to Moslems? There appears to be insidious effort in this country to make Christian prayer and worship illegal. Strange, Islamics are left in peace , but Christians and Jews are subject to harrassments. R’amen…again. Secular invocations/prayers have been very respectful, but perhaps it is time to drop that politeness and start with praising Thor, FSM (he boiled for your sins), Jupiter (one of my favorites) and the whole host of gods and goddess. Perhaps that will get their attention. In all my years of working many different jobs in many different places, never did anyone say prayer of any kind on the company time/dime. So it should be esp for government officials per the CONSTITUTION! The discussion of having such a thing happen at all would sound like scorched cats! And if a Muslim offered a prayer, most christian lawmakers would sh*t a brick. I would put money on this! They should not touch it. It doesn’t even comply with Town of Greece. By “this” you don’t mean the brick do ya? As a Christian here’s the problem I have with this, the lawsuit is probably way more sincere than the prayers were meant to be. If some people want to get together and sincerely pray before a government meeting then designate a time and place and do so. The prayer meeting can be about the government meeting without being the government meeting. I agree with most of what you say. The exception is: “designate a time and place and do so”. People, not the government or any rep thereof, can do this on their own. They can organize & pray for whatever and whenever. One of the issues here is that nothing but Christian prayers are offered. THere are no Islamic prayers to be “left in peace”. Some sort of alternative universe you must live in where untrue things can be asserted as true while providing zero supports or evidence for it. That is what I meant. As a citizen meet across the street, down the street, in a back room, a day before, an hour before a meeting. If you are a praying person then pray, then go govern. And when you govern respect all those you govern. About that brick…Roy Moore could probably get that money laundered for you.? I think we all have much more to comment on when, and if, the Supreme Court agrees to take this case, in the meantime this is speculative and opinionated spitballing which is the preferred currency on this site, especially as regards present or pending litigation. I object to your term “offensive nature,” that is hardly objective phrasing. “Sectarian phrasing” is much more objective and to the legal point. Offensive nature, meaning giving offense. An exclusively sectarian prayer in a public space by government officials is entirely intended as a sign of dominance and disrespect towards other faiths. Also they should be confronted with ” If the KKKhriztian buybull is absolutely the word of god, god commands that you pray in private, not in public, so why are you all disobeying the world of god and praying in public anyway”? Eh? Wanna bet they will find an excuse to justify praying in public? Make excuses, deny, lie, then lie about lying. R’amen! GJ – I totally agreed with your response. Sorry if I didn’t make myself clear on that point. I am quite new to expressing my thoughts/opinions in a comment section. Whenever the bible says something inconvenient, it is clear that 1) It must mean something lese entirely, 2) We really don’t understand god’s mysterious plan, or 3) it doesn’t apply to theocrats, because they alone speak for god. Theocrats make excuses, deny, lie, then lie about lying. I see i already said that.(sheesh). Lord Zeus is not pleased.